Green Brick Tea is the special traditional product in China. 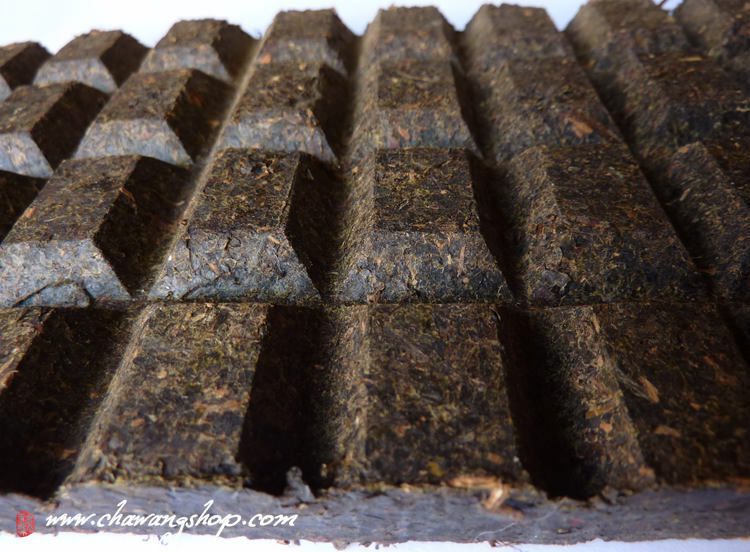 It use high quality old green tea in the mountainous area of South Hubei Province as the raw materials, and is made according to the traditional processing technique. The brick is flat, thin and rectangular paralleling. It has the following functions: production of the body fluid, quenching thirst, refreshment, keeping out cold, and fat abstraction, etc, and is the best drink for people having high fat diet. 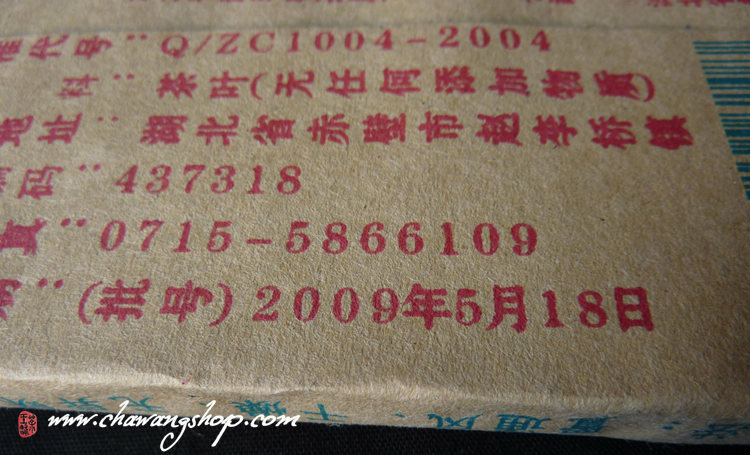 As the traditional export product, it is very popular with customers in and outside China. Hubei Province Zhaoliqiao Tea Factory is a key manufacturing enterprise in the brick tea industry of China. It has a yearly production capacity of over 10,000 tons, and mainly produces green brick tea, granule brick tea, fuling brick tea and deep green brick tea, etc. All the products are made of high quality raw materials according to the traditional processing technique, and therefore have special taste and functions, especially suitable for people living in high & cold areas and having high fat diet. They not only sell well in the domestic market such as Inner Mongolia, Xinjiang, Gansu, Ningxia, etc, but also are exported to USSR, Mongolia, Middle East, the U.K., and the U.S., etc. 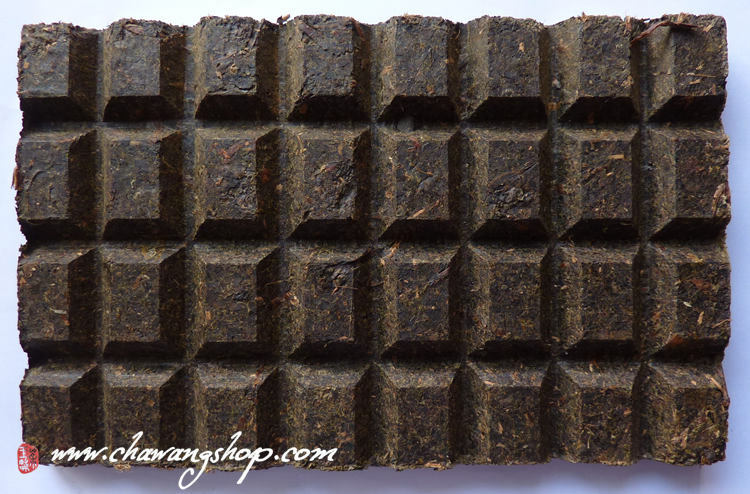 This selection grade qing zhuan is made from 2008 material, after fermentation procesing pressed to "chocolate" shape brick. The dry leaves offer intense aromas of flowers, gladdening the heart and refreshing the mind. 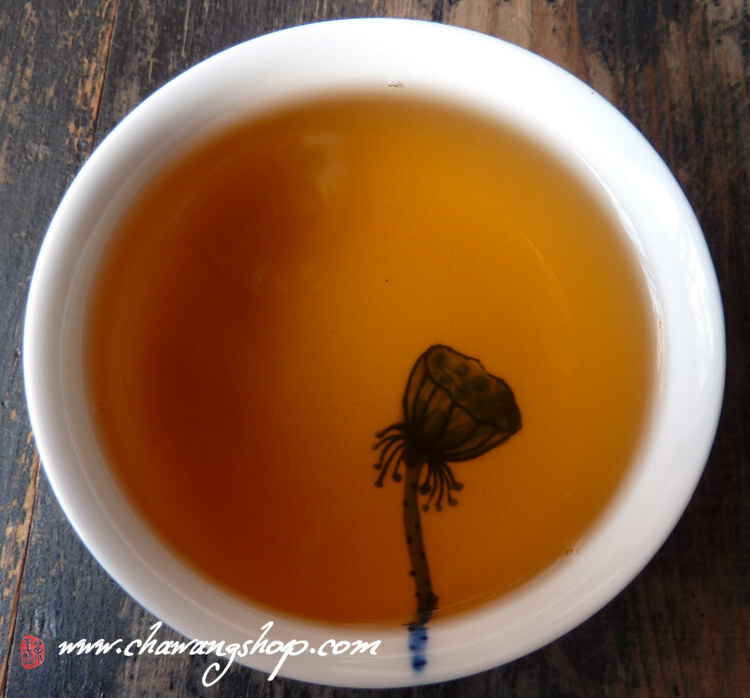 The unique fragrance which comes from fermentation technology make this tea rare and pleasant.